(News Investigators) /The Federal Government and its federating states and local governments on Thursday shared N698.7 billion as statutory allocation from the federation account for September 2018. The sharing followed a meeting of the Federation Accounts Allocation Committee (FAAC) held in Abuja on Thursday. 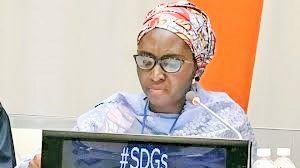 Minister of Finance, Zainab Ahmed, who presided over the meeting urged the three tiers of government to consider the prevailing economic situation by saving for tomorrow. “In view of the situation of the economy at the moment it is important to restate the need for governments at all levels to maintain transparency and instill a saving culture for the rainy day. We have to save, not only saving for today, but for tomorrow,” Mrs Ahmed told the State Commissioners of Finance. Other details showed that revenue from royalties increased significantly during the month, while value added tax (VAT), petroleum profit tax (PPT) and company’s income tax (CIT) decreased significantly. Spokesperson to the minister, Paul Abechi, told reporters the next FAAC meeting is scheduled during National Council of Finance and Economic Development (NACOFED) proposed for November 28 in Kaduna.